If you're a DirecTV customer, Sprint will give you a year's worth of cell phone service for free. There are a few catches: You still need to pay the $36 activation charge, taxes and surcharges. Oh, and you need to switch to Sprint (S) (or add a line, if you're an existing Sprint customer). You'll also automatically be moved to a plan that costs $50 a month after the first (free) year, which you'll need to stick with until you pay off your phone with Sprint. If you're still reading, here's how to get the deal: DirecTV customers can upload copies of their bills on Sprint's website and get 2 GB of data each month, and unlimited talk and text for 12 months. Sprint will even pay off new customers' old contracts or phones if they make the switch -- or you can trade in your old smartphone for up to $300. Sprint's promotion is designed to attract AT&T (T) customers after AT&T bought DirecTV a month ago. AT&T is offering substantial discounts to DirecTV customers if they bundle their TV service with AT&T wireless. 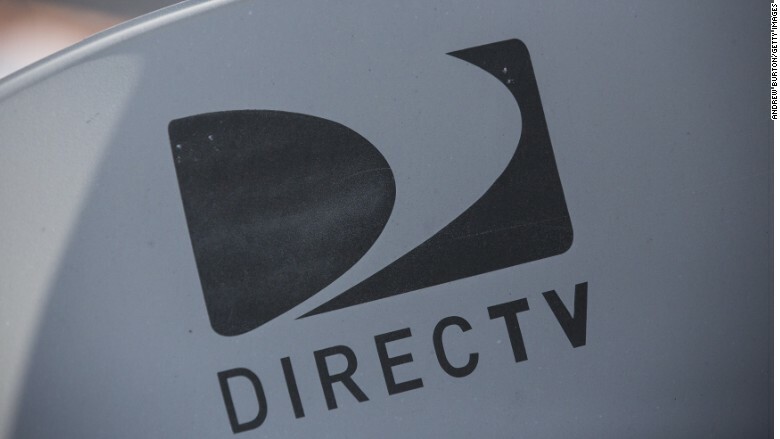 "DirecTV customers love their TV service -- but they shouldn't have to settle for AT&T wireless," said Kevin Crull, chief marketing officer for Sprint. "Why not build the perfect bundle by combining with Sprint wireless?" The Sprint deal is substantially better than what AT&T will give DirecTV customers. Sprint's deal works out to about a $900 value over the course of 12 months (with a smartphone trade-in). AT&T is offering just $620 ($300 bill credits for DirecTV customers to port their numbers over to AT&T plus $200 to trade in a smartphone), as well as a $10-a-month discount. Technically, AT&T's deal could save you more money over time, since its $10-a-month discount doesn't expire after 12 months. AT&T also lets you go bananas and add as many lines as you want, receiving a discount for each one. Sprint customers can only add up to five lines for free.